Fuel contamination has been an issue ever since fuel engines were made. Dirty fuel can cause damage in all types of equipment regardless of age. The “dirt” in dirty fuel refers to hard particulates that are often made up of different minerals and materials and could form anywhere (from storage tanks, job sites, pipelines, to actual diesel tanks and engines). As such, it is paramount to take precautionary measures to avoid or minimize the formation of dirt in fuels. Since fuel contamination is very common, there are allowable levels of hard particulates. The standard for diesel is that there should only be 700 grams of hard particulate for every 10,000 gallons/38,000 liters, but for rail fuel systems, only 0.7 grams is allowed. Once hard particulates cross this threshold, the higher the risk for dirty fuel to cause damage. These hard particulates can lead to a plethora of system issues such as in starting, engine performance, and may even cause engine failure. Damage is caused by erosive wear (as particles hit and scrape against components), and by clogging filters and other smaller system components. Where does the “dirt” come from? Pipelines. Majority of pipelines used for transporting fuel are not new, and often have traces of rust and corrosion which contaminates fuel as it passes through them. Refineries often prevent this by the use of corrosion inhibitors (chemicals compounds that decrease corrosion of metal or alloys). Rail Car Tanks. Tank cars are specialized railroad cars designed to transport fluids and gasses. Contamination usually occurs when the rail car isn’t thoroughly cleaned or emptied after delivering its last load. The duration of transit, hermetic (air-tight sealing) also contribute to the buildup and acquisition of “dirt”. Terminal Tanks and Delivery Trucks. Same as rail cars, the emptying and cleaning of tanks of terminal tanks and delivery trucks continue to contribute to the contamination. Every stage of transportation adds further risk of contaminating the fuel. Storage Tanks. Water contamination also occurs due to storage issues, as well as changing temperature, more so for diesel fuel which does not produce vapor and allows for humidity and condensation within the tanks. Dispensing Process. Most of the time, contamination come from unclean nozzles, or old nozzles suffering from corrosion and tear from continued use. Onboard Fuel Tanks. Once loaded into the tank, fuel tanks themselves can contribute to the contamination, more so if the tank has been stagnant for prolonged periods. Corrosion and wear within the tanks also add further to the “dirt”. Engines. Even in the usage of the fuel itself, it can be contaminated. Mechanical friction creates wear particles, and so do the pressure inside engines. Tank, Nozzle, Stoarge Cleaning and Inspection. The easiest and most basic way to prevent contamination is to ensure that all stages of transportation and storage are cleaned and emptied thoroughly, and regularly checked for any damages and signs of corrosion. Filtration. Filtration is the key to clean fuel to its recommended/standard levels. Although preventive measures seem expensive and tiresome, doing so would avoid bigger expenses caused by repairs and component replacements. 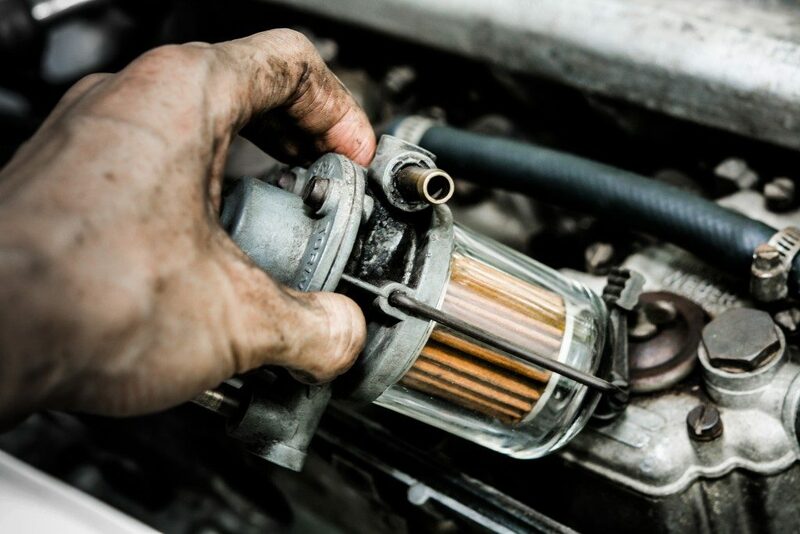 Dirty fuel is a nuisance that can lead to bigger problems. Equipped with this information, make sure that you take all the measures possible to prevent dirty fuel and avoid any costly repairs to your engines; prevention is better, and cheaper, than cure after all.